Featuring Some of our Favorite Venues! 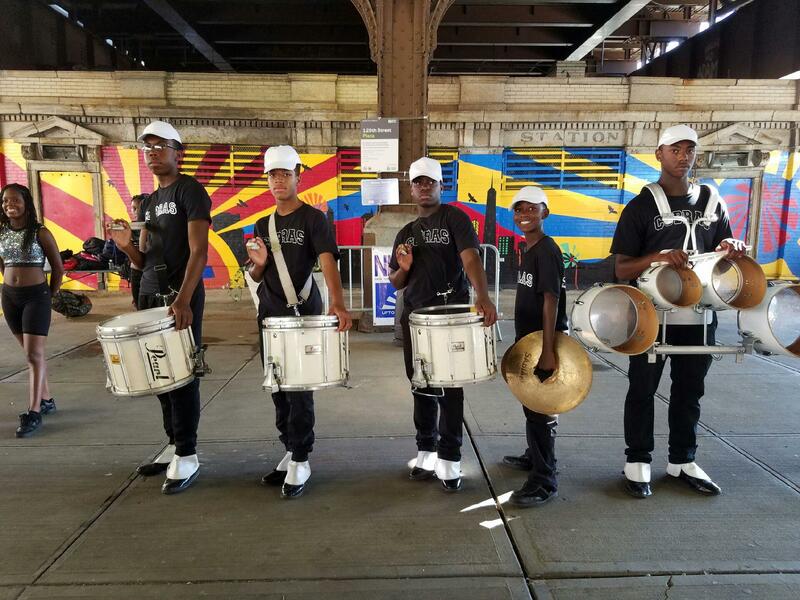 One of the aspects of Make Music New York that gets us most excited is its effect on communities throughout New York. With the opportunity to select the performers and audiences they would like to attract, host venues have the ability to put on a unique event tailored to the audiences who experience it. Venues can choose between the many artists who have registered to perform at Make Music New York 2018 to engage their neighborhoods as they see fit. Why is this possible with Make Music New York? Our network of partnerships with artists across all five boroughs is available to host venues, and vice versa! Our mission is to allow musicians of any genre, skill-level, or demographic to perform – we hope to sign up diverse and cool venues so that each artist and venue partnership can reach the audiences they hope to reach. If you’re wondering how to register as a performer or as a venue, look no further than the “register” tab on the main menu of our website, makemusicny.org! We wanted to feature a few of the coolest types of venues from previous Make Music New York festivals to show the different kinds of locations that have participated. Maybe one of these venues will spark the inspiration to host your own performance for Make Music New York 2018! One of our favorite venues for both summer and winter festivals, the Uptown Grand Central Community plaza has hosted a multitude of events from the Ella Fitzgerald Piano Bar to the Solstice Soul train. Uptown under the Metro North train tracks, this plaza is a shining example of a community space that brings East-Harlemites (and other New Yorkers!) together in celebration of Music. Community plaza shows are awesome simply because they take place in public spaces where communities live and interact on a day to day basis. 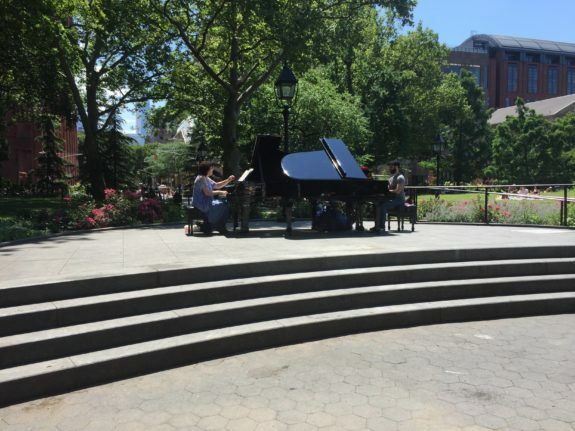 New York has so many wonderful open spaces throughout the city, and we’d love nothing more than to fill each one up with performances on Make Music day. Moving downtown, Battery Park has played host to several unique programs. 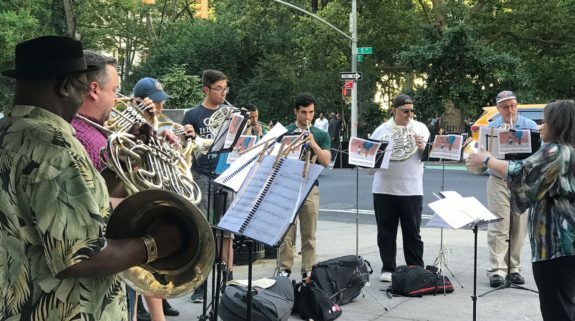 One such notable program from 2017 was the Mp3 Experiment Number Fourteen produced by Improv Everywhere in partnership with Make Music New York. The Mp3 Experiments are free, open-to-the-public participatory audio adventures where attendees carry out secret instructions in public spaces, often to hilarious results! Experiment Number Fourteen featured the use of Boomwhackers – lightweight percussion tubes tuned to musical pitches. The park provides a wonderful open atmosphere as well as access to audiences beyond those attending for Make Music New York. Random passers-by get to experience the performances as well! Libraries are a perennial fixture in the Make Music New York lineup. So much so, that you can expect a more detailed post about Library venue options coming soon! Libraries represent havens of support for the arts, and their goals and missions align closely with ours. We have programs at libraries throughout the five boroughs, and your neighborhood library is likely involved! And if it isn’t, wouldn’t it be wonderful to have your local library host performances as well? If you have a library in mind, reach out to them (or us!) and see if it’s something they’d be willing to do! Previous shows include the Improvisational Composer’s Ensemble at NYPL – Tompkins Square, Thunder and Sunshine at NYPL – Jerome Park, and Echoes of Antiquity at BPL – Borough Park. Some of the most exciting shows at Make Music New York are the ones that seem to spring up from the city itself! 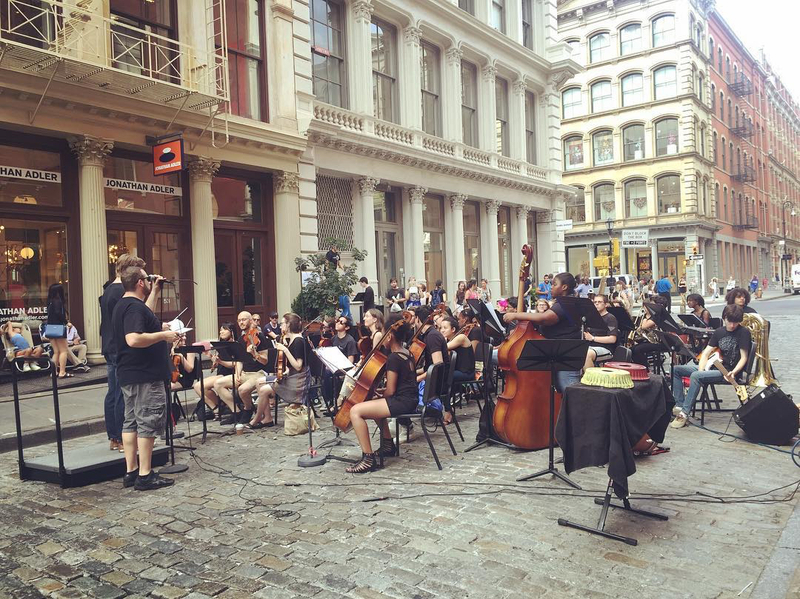 Concertos for Buildings takes over an entire Soho block as hollow, cast-iron facades serve as resonant instruments for performing percussionists. This recurring program has expanded over the years to feature multiple concertos from a variety of performers, ranging from professionals to students. The street corner literally serves as a vehicle for music – in a city that at many times feels as if it’s a part of its music, Concertos for Buildings makes that metaphor a reality! Remember, if you’re a musician looking for a place to play – or if you have a garden, restaurant, sidewalk, or other outdoor space and want to host a show – you can sign up and find the perfect match for your Make Music New York concert. It’s easy and it’s free! Have any other questions? Please don’t hesitate to contact us! For the thirteenth consecutive year, Make Music New York is proud to announce the return of our signature concert series Mass Appeal. Mass Appeal concerts embody the essence of what Make Music New York is about – they gather musicians of all skill levels with an interest in a particular instrument to premier locations across the city to perform together. Anyone can perform, from polished professionals to the amateur and curious – just grab your instrument and get playing! From the rusty harmonica player to the professional cellist, all are welcome to join these epic events, all taking place outdoors on June 21st. We’re still looking for Project Managers for many of these concerts! If you would like to run a Mass Appeal Concert for a particular instrument, email us at info@makemusicny.org with “Mass Appeal” in the subject line. Most importantly, if you have a new idea for a Mass Appeal Concert that you don’t see on this list, reach out to us as well! We always welcome new concert ideas and want to turn your dream into a reality. Look out for more information on Mass Appeal Concerts in the future, and stay tuned to this blog as we’ll be giving you updates about host venues, special projects, performers, and everything else related to Make Music New York 2019. Though the weather hasn’t quite warmed up yet, days are getting longer and spring is just around the corner. What does this mean? It’s time to start thinking about Make Music New York 2019! 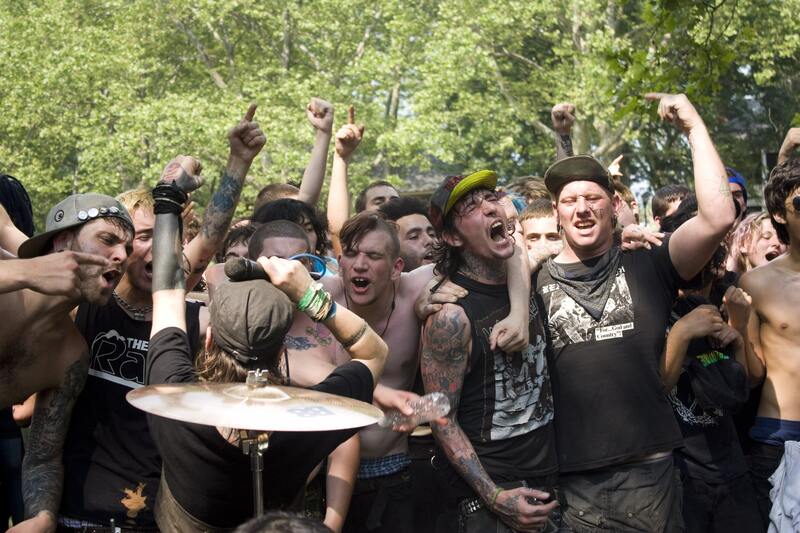 As you may or may not know, Make Music New York is the largest single-day festival in New York City. Every year, over 5,000 musicians perform 1,000+ concerts at over 400 unique venues. We strive to celebrate the musician in all of us, connect New Yorkers to their communities and with each other, bring bold new artistic creations to life, unite diverse communities in a spirit of celebration, and energize the shared social spaces that make NYC a cultural capital. The Make Music New York team is kicking it into high gear securing permits, developing special projects, and planning logistics for the big day (June 21st, mark your calendars!). But, while we do our job, you have an even more important role in making this year’s festival a success – signing up as a venue, a performer, or both! It’s the artists and venues throughout the city that bring people together to celebrate music and community. You guys are the ones who inspire, and who make this wonderful day possible. And so, now begins our push to sign up as many venues and artists as possible! There are all sorts of ways to host a performance for Make Music New York. Whether you are an individual with an inspired idea for a show you’d like to see, a community organization looking to engage and energize your neighborhood, or a business looking to host, you are the foundation of Make Music New York. To sign up as a host venue, go to our website (LINKED HERE) and click on “summer registration.” You will be guided through the process from there! Once you have registered, you can either search out artists in our system that you want to perform at your venue, or you can relax and let artists come to you with requests to perform. Either way, once you have registered, let us handle licenses, insurance, and permits so that you can focus your efforts on giving back to your community through amazing music. Artists provide the magic for Make Music New York. They connect with communities and neighborhoods on an individual and personal level, and are what make this festival special. Our dream is to have as many people perform as possible – anyone, regardless of skill level, genre, age, or demographic is welcomed to do so. 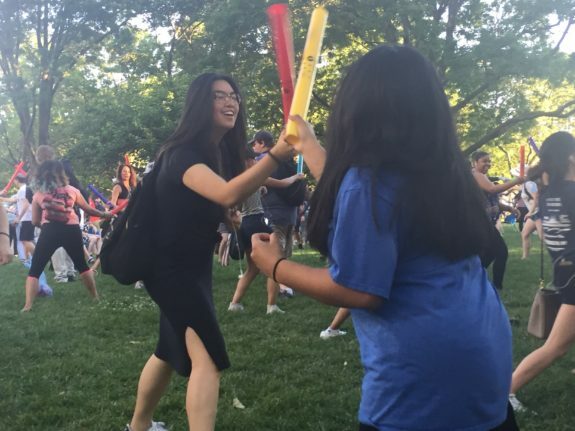 To sign up as a performer, go to our website (LINKED HERE) and click on “summer registration.” Similarly to registering as a venue, you will be guided through the process from there. Once registered, look around for venues at which you’d love to perform! 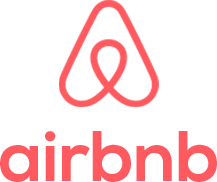 We’ll have all sorts of venues, whether you are looking for a park, something in your neighborhood, or a place to support your style of music. The more venues and performers that sign up, the more successful the festival will be – we’ll be able to engage more communities, more neighborhoods, and more people through the beauty of music. So, even if you don’t have a place to host or don’t want to perform yourself, tell your friends! Let them know about us – Make Music New York is a great opportunity to grow a fan base as an artist, or to reach more people and grow awareness of a venue. At the end of the day, it’s the people of New York City make this festival possible, and its their (and our!) music we celebrate. Lastly, are you interested in our special programs for this year? Stay tuned, because we’ll begin posting previews for select events in the next few weeks. We’re going to have some really great programs this year – if you haven’t already, subscribe to our email newsletter and follow us on social media for updates on all things Make Music New York!